One of my friends saw the post from Monday, and shared this chart with me. 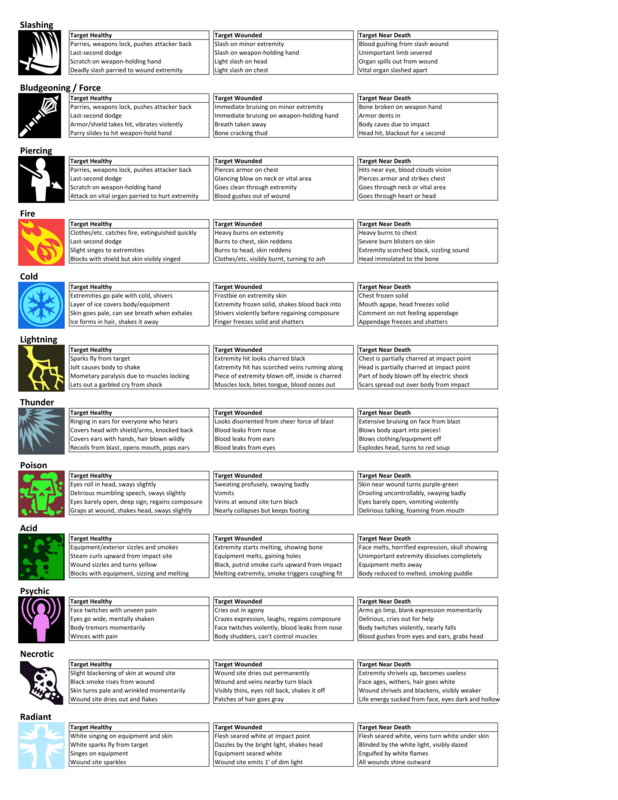 While this isn't the problem I'm having, this is a hell of a useful chart for D&D and Pathfinder GMs looking for some ideas on how to describe damage of different types. And if someone knows the source, please let me know so I can credit accordingly.